I apologize for the four-hour delay in posting today's entry. I was making this last night and completely forgot about Florida Survival Gardening. 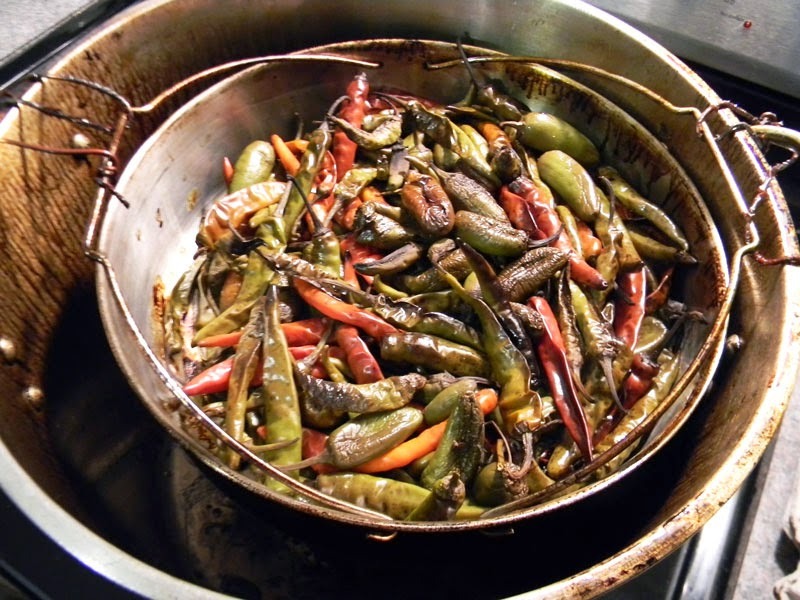 I figured out how to add a home-made smoker to my StoveTec rocket stove, so I was smoking another round of hot peppers gleaned from the frost-damaged remains of my fall garden. The mix contains paprikas, green and red cayennes, green and red jalapenos and a habanero or two. Last night was actually my second round of pepper smoking. The first round led to the most amazing smoked hot pepper sauce you can imagine. The rich, round, spicy flavor is so good as to be indescribable. You'll just have to make some yourself. I'm going to post my recipe. I also made a video of the smoking process and will post it soon. Right now, however, I'm going to make some eggs just so I have an excuse to eat more hot pepper sauce. Sounds amazing. I look forward to the recipe! Wonderful! Mick Dodge has inspired me to make my own smoker. Can't wait for your recipe!